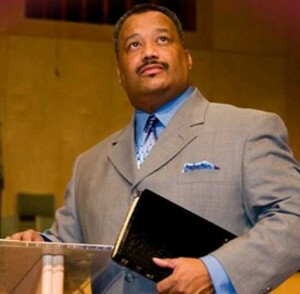 The election of Pastor Fred Luter as the first African-American president of the Southern Baptist Convention was a historic moment in the history of the denomination. It is an indication of just how far we have come as a denomination in terms of race relations. However, it also serves as an indication of how far we have yet to go. The fact that Pastor Luter’s race is even a point of discussion reveals that race is still a factor. This spring the NFL held its annual draft. The top two quarterbacks available were Andrew Luck from Stanford and Robert Griffin from Baylor – one white, one black. For months the experts analyzed their respective skill sets. They broke down every game film and rated their strengths and weaknesses. Every aspect of these two men’s lives and athletic ability was scrutinized and discussed ad nauseam. However, one thing that did not seem to be part of the public debate was their race – because it would seem that in the NFL today it doesn’t matter. Quarterbacks are judged by wins and losses – not by melanin. It has been suggested by some in the secular press that Pastor Luter’s election was designed to make the SBC more appealing to a wider audience. Many see it as a marketing strategy. To suggest such a motivation, in my opinion, cheapens this historic moment. As Christians we cannot allow ourselves to be controlled by demographic reports, marketing trends or popular opinions. We must be led the Spirit of God and a sincere desire to serve our Lord. President Luter was elected because he is the right man for “such a time as this.” He was elected because he is the man that God has prepared to lead the SBC today. It is my prayer that he will not be remembered as an African-American president, but as a great president. It is my prayer that he will be recognized, as Dr. Martin Luther King dared to dream - by the content of his character, not the color of his skin. Racism still exists in America and as Christians we are called to stand against racial inequality in any form. However, true equality cannot ever be achieved by our efforts alone. Racism, like war will only be eliminated when Christ reigns supreme in the hearts of all men. This is the reason we, as a convention, exist - “to reach the world for Christ. While there is still a lot of work to be done, we can celebrate this moment and pray for our new president as he seeks God’s guidance and direction.